CHANNING — Cynthia Ann Rouse, 65, of Channing, passed away on Wednesday, Aug. 8, 2018, at the University of Madison Hospital in Madison, Wis. She was born on Nov. 11, 1952, in Racine, Wis., daughter of the late Donald Walter and Carrie (Cichanofsky) Donaldson. She married Norman Rouse on May 22, 1969, in Waukegan, Ill., and the couple spent more than 49 wonderful years together. She was a longtime and faithful member of the Mount Olive Lutheran Church in Iron Mountain. 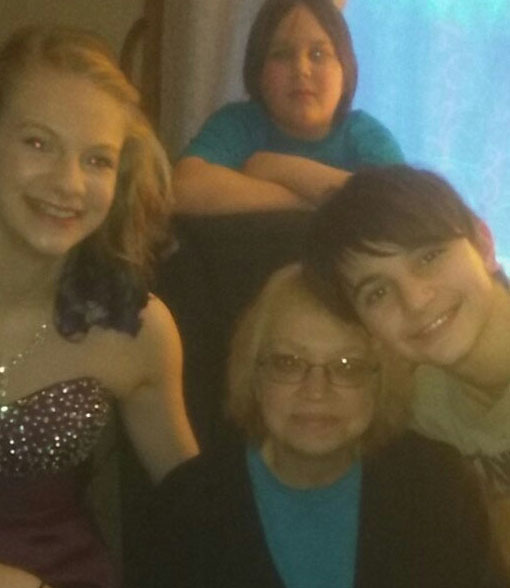 Her four grandchildren were her everything. Spending time with them was what she cherished the most. Cynthia Ann is survived by her loving husband, Norman Rouse of Channing; a son, Norman Jr. “Butch” Rouse of Channing; her daughter, CarrieAnn (David) Clark of Randville; her four grandchildren, Justin Clark, Hannah Clark, Drake Rouse and Nash Rouse; brothers, Donald (Debbie) Donaldson of Channing and Daniel (Gail) Donaldson of Florence, Wis.; special nieces, Kim Dinnocenzo, Kristin Linsenbigler and Dawn Myers; many other special nieces and nephews; long time friend, Diane MacFadyen; and many other special friends. Cynthia Ann was preceded in death by her parents, Donald and Carrie Donaldson; her 9-month-old son, Jody Rouse; brothers, Jim and Gene Donaldson; and sisters, Janet Harshman and Sharon Olson. Condolences to the family of Cynthia Ann Rouse may be expressed online at www.ernashfuneralhomes.com.